After an explosive season finale on Fear the Walking Dead that may have wiped out more than a few main characters — along with a soft reboot of the TV show — what’s a sister series to do? If you guessed crafting a killer crossover storyline between the two blockbuster programs in hopes of providing a ratings bonanza, you’d be correct! Fans of the undead know all about the ongoing All Out War taking place on Season 8 of The Walking Dead, but they may not be paying attention to the spin-off series, which has upped its game last year. After TWD’s season premiere, which was also Episode 100, Mercy, this season’s storyline is starting out with a bang. But who’s going to be the character to crossover? 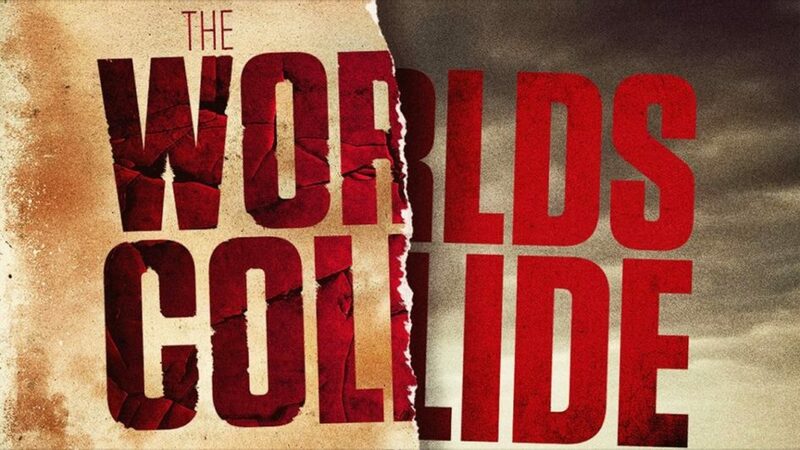 At New York Comic Con, Robert Kirkman threw out the idea that there would be one character from TWD and Fear crossing over into storylines, but there wasn’t a ton of speculation. The rumor mill was never cranking out at full throttle, because everyone assumed Sgt. Abraham Ford (Michael Cudlitz) was the foregone conclusion, since Houston was mentioned as a storyline possibility for Fear‘s Season 4, and the character originated from that area (and the actor’s currently available, since he was killed off from TWD last season). After watching a recent Talking Dead episode, that rumor is no longer holding any credibility. Production of Fear‘s next season has already ramped up and the crossover character has been announced (to less fanfare than expected). It will not be Abraham. It will be Morgan Jones. Really? No one was clamoring for this character’s origin story. Everyone has been learning more about this person via the current season, even though we were introduced to him in the pilot. While a complex and interesting character, Morgan’s not exactly my first choice for reigniting the fanbase for both shows. In fact, this could potentially be a problem in scheduling — and possibly continuity — for the actor to balance working on two different shows. 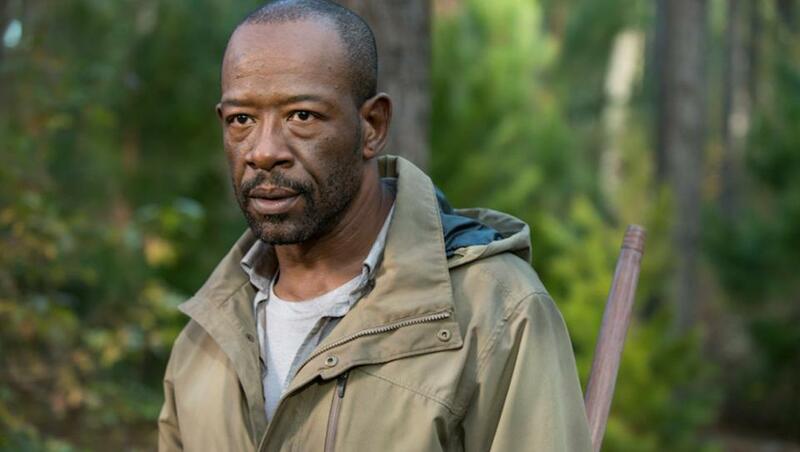 Most likely it means actor Lennie James will be killed off this season in TWD and return in flashback fashion next year for Fear. Honestly, I was hoping the crossover character could possibly be Rosita Espinosa (Christian Serratos) or even Dr. Eugene Porter (Josh McDermitt), but the filmmakers had other ideas. Generally, whenever a TV show resorts to gimmicks or changes showrunners, it’s not a good thing. With Fear‘s ratings at an all-time low, Dave Erickson is out and Ian Goldberg and Andrew Chambliss are running the day-to-day operations, even though Scott M. Gimple is officially in charge of both Walking Dead programs, while overseeing the overall storyline and canon. The numbers don’t lie, but one crossover character may not be enough to keep the spin-off series alive. Previous seasons of bad acting, bad writing, bad directing and unrelatable characters kind of doomed the show from its start. All of that seemingly changed halfway through last season and was aiming at something bigger (and hopefully better), before the slate was practically wiped clean on the season finale. We, as an audience, were promised to learn about the origins of the killer outbreak from TWD. After being introduced to Patient Zero in the pilot, other than a brief flashback in a subsequent season, we STILL don’t know, really, why the dead are rising. As a show, Fear has been mismanaged from the beginning. As an overall franchise, the audience may have already moved onto the next shiny object, as ratings for the mothership are also falling fast. So, will we get more than an episode or possibly two during sweeps or will Morgan’s presence be longer lasting and really make an impact on the show? I guess we’ll have to wait to find out.